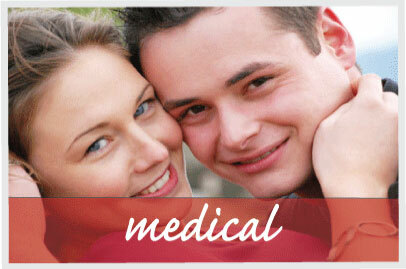 At Daws Wellness Center our goal is to promote your well-being both inside and out. As scientists and psychologists have understood for years, it is not just vanity that makes us want to look our best - it's a healthy self interest in one's personal well-being. Looking good helps us to feel good, and it's no secret that good body image can have very positive effects on one's relationships and opportunities in life. Positive things happen to people with a positive self image. The feedback we get from our clients constantly reinforces this. While there are some who may overemphasize the "looks" aspect of their lives, by far the vast majority of people seeking improvement in their appearance are well-grounded and stable individuals, who, like you, simply aspire to look and feel their best. Our practice is dedicated to helping people achieve their goals - to provide those changes which can really make a difference on both the inside and the outside. The ideal treatment if you desire improved skin with immediate results, little down time, minimal discomfort and easy post treatment care. The depth of ablation is adjusted for your desired results. ProFractional Laser Tx ***NOW OFFERING STEM CELL THERAPY ***USING YOUR STEM CELLS! Dramatically improves wrinkles, scars, age spots, tone & texture with little-to-no downtime. Unlike any other treatment available, the Sciton ProFractional delivers thousands of microscopic channels with pinpoint accuracy stimulating new collagen production. This semi-ablative procedure plumps and smooths the skin. If you want to avoid a facelift as long as possible this procedure does that and improves the health of your skin like no other treatment. Correct age spots and discolorations anywhere sun damage shows with this fast, non-ablative procedure. A laser procedure used for the treatment of rosacea, broken facial veins, and telangiectasia. There is no recovery time so you may return to normal activities immediately. Two laser treatments a week for four weeks. Each treatment reduces bacteria and inflammation of active acne pores. Brighter Healthier Skin with no downtime! A Micro Peel Facial is a physical or enzymatic exfoliation that frees the skin of all surface debris. It is followed by a lactic or glycolic acid application to remove the dead cells within the pores. Following the procedure a soothing carbon dioxide treatment is applied. This provides a cooling effect while providing antimicrobial benefits and further exfoliating the skin. A hydrating cream and sunscreen will complete the process. A series of 5 micro peels 2 weeks apart are recommended. A series will help to increase collagen and elastin production, reduces hyper pigmentation, and refines pores and fine lines. After your series of peels, one peel every 6 to 8 weeks is recommended for maintenance. Performed on the face, feet, back, hands; anywhere you'd like to remove dry, rough skin and dramatically improve skin health. This crystal free microdermabrasion enhances the effectiveness of chemical peels, skin care products, and laser treatments. Get a Vibraderm before instant tanning for a longer lasting, even tan. Oxygen Botanicals are deeply infused following treatment to help promote healthy skin. MicroNeedling induces collagen production with the added benefit of getting serums deep into the epidermis. Progressive repair and support under depressed acne scars and facial lines are established and continues for 12 months. The ideal treatment if you desire improved skin with immediate lasting results, little time off, minimal discomfort and easy post treatment care. Depth of ablation is adjusted for desired results. Dramatically improves wrinkles, scars, age spots, tone & texture with little-to-no downtime. Unlike any other treatment available, the Sciton ProFractional delivers thousands of microscopic channels with pinpoint accuracy stimulating new collagen production. This semi-ablative procedure plumps and smoothes the skin. If you want a facelift without surgery and youthful , healthy skin this is the answer. Removes age spots, discolorations, broken facial veins and treat rosacea with this fast, non-ablative procedure. There is no recovery time so you may return to normal activities immediately. TCA is used to improve and smooth the texture of the skin by removing damaged outer layers. It is helpful for blemishes, wrinkles and uneven pigmentation. Botox® and fillers such as Restylane®, Radiasse,®, Juvéderm®, and Belotero® are used to reduce fine lines and wrinkles. 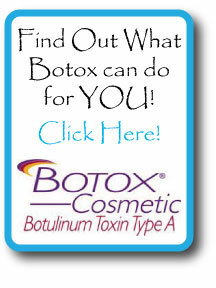 Botox® is also used to control severe underarm sweating and migraine headaches. BOTOX® Cosmetic is a simple, non-surgical, physician administered treatment that can temporarily smooth moderate to severe frown lines between the brows in people over 18 years of age. One 10-minute treatment—a few tiny injections—and within days there's a noticeable improvement in moderate to severe frown lines between the brows, which can last up to 5months. Results may vary. BOTOX® Cosmetic should not be used in the presence of infection at the proposed injection site(s) and in individuals with known hypersensitivity to any ingredient in the formulation.